Summer holidays have got off to a kicking start at the Caldecott Foundation, thanks to The Gym Group, Ashford. 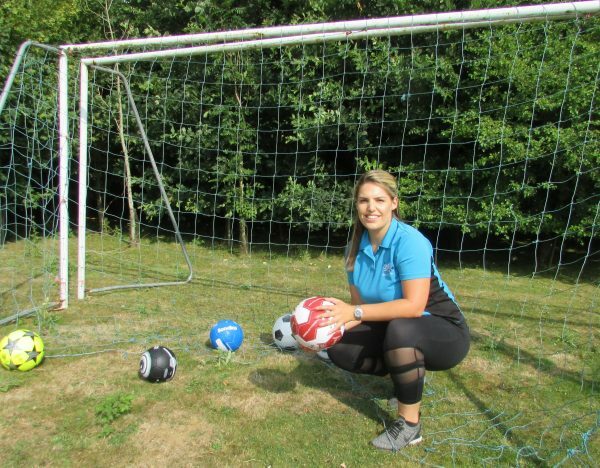 Young people from the Foundation’s houses and the Caldecott School will enjoy brand new footballs following the gym’s “Bring Your Balls” appeal. Gym members were asked to bring in a ball in exchange for a guest pass, for the duration of the World Cup tournament. Assistant Gym Manager, Toni, said: “‘Bring Your Balls’ was a nationwide campaign, but each club was asked to choose its own local charity. When we found out about the Caldecott Foundation and the great work you do, we knew we wanted to support you. Toni delivered the balls to us and we couldn’t wait to get practising our goals. Thank you very much to everyone who donated!